DON'T BE MISLED BY OTHERS' 50% - 75% OFF "SALES" -- this indicates that their regular prices are highly inflated to create this illusion of savings! Our prices are real and reasonable everyday -- and you have the peace of mind knowing that our expert framing is done right here in our local framing studio. We have the widest selection of frame styles and acid-free mat colors in the area, as well as a variety of glass options, including several types of UV glass to protect your document from fading. With over 30 years of experience, we have the expertise to assist you in making tasteful framing decisions that will protect & preserve your documents, art & memorabilia for many years to come. ORIGINAL WATERCOLORS BY PEGGY ISAACK PAINTINGS NOW AVAILABLE! in a variety of sizes and colors! MORE PEGGY ISAACK PAINTINGS NOW AVAILABLE! A Collection of Original Watercolors by the late Artist are at long last available once again! WE HAVE WEST VIRGINIA PUZZLES! WV POTTERY handcrafted with local clay! CHILDREN'S BOOKS BY LOCAL AUTHORS -- Cindy Bandy O'Brien's books, Grandma's Jewelry Box, Can I Do It? Yes, I Can! and Agitated! ; Barbara Myers and granddaughter & co-author Lily Hamilton's books Lily & Nana and Lily Goes to School; and How Many is Lola? by retired teacher & counselor Mike Fike. Appalachian Gallery offers the highest quality full line of professional custom framing services for Morgantown and the surrounding area. Additionally, Appalachian Gallery promotes the artistic endeavors of West Virginian artists & craftspeople by providing a beautiful & unique venue for the sale of their works. Finally, Appalachian Gallery promotes the arts in our community through providing educational opportunities for area youth and partnering with local charitable and service organizations in Morgantown by providing goods & services in kind. 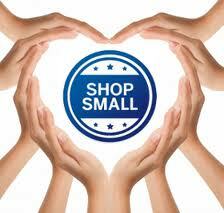 KEEP SMALL BUSINESSES IN BUSINESS -- BUY LOCAL! Unique Peek of the Week! Original drawings, paintings, prints & stained glass, plus NEW ARTWORK & GREATER SELECTION of fine crafts, seasonal items & cards are now upstairs! HANDCRAFTED PUPPETS, DOLLS & TOYS are also on 2nd floor! This award-winning book represents a body of work started in 2002. Each 2-page spread features one of his panoramic images, providing a unique perspective to the landscape of his home state. The book was awarded First Place in the Photography/Art Division of the Great Midwest Bookfair in Chicago. It is printed in the USA and published by Headline Books of Terra Alta, WV, the 2014 Independent Publisher of the Year. This site is designed to give you an overview of the kinds of items we carry. Though it is not presently set up for online purchasing, items can be purchased by phone if currently in stock. Since most items are individually handcrafted, each item may differ somewhat from the one shown; most are only produced in small numbers, and some are one-of-a-kind -- please call the phone number at the bottom of this page for availability.